We all lead busy lives. Wake up, work, sit in traffic, make dinner for the family, let the dog out, and finally sit on the couch to catch the last few minutes of Jeopardy. The Mayo Clinic suggests that healthy adults should get at least 150 minutes of aerobic exercise a week (you should aim for around 30 minutes a day) but once you finally have a chance to catch your breath from running around all day (no pun intended), the last thing most people want to do is drive over to the gym. Thankfully, a new study has revealed that there's another way to get in all your physical fitness for the week that doesn't involve a gym membership. Researchers across the globe have been studying a new term called, "leisure-time physical activity", which is essentially leisure time activities that get you moving without putting on yoga pants or working up a sweat. Think of activities like gardening, walking the dog, or even dancing in the kitchen. The study took eleven years to conduct and used nearly 90,000 participants who answered questions from the National Health Interview Survey, which is annually surveyed by the Centers for Disease Control and Prevention. The results will make you think twice about traditional exercise and the amount of physical activity you are probably already doing. According to the health study, doing leisure-time physical activities for only ten to sixty minutes a week can reduce your risk of all-cause mortality by 18 percent. In essence, doing something as simple as gardening for an hour a week lessened the chance of participants dying during the survey period. Are you an overachiever? 150 - 299 minutes of leisure physical activity can lead to a 31 percent decrease in all-cause mortality. Taking part in moderate-intensity activities have been shown to reduce cardiovascular disease, heart disease, blood pressure. As always, please be sure to consult with your health care provider before taking part in various levels of physical activity. Not only can gardening be a way to grow vegetables or add some curb-appeal to your home, but it's also been positively linked with a wide range of health benefits including, decrease in depression, anxiety, and body mass index as well as an increase in life satisfaction. It also reduces stress and in some cases, reducing the use of medication in some seniors. Need a little inspiration? 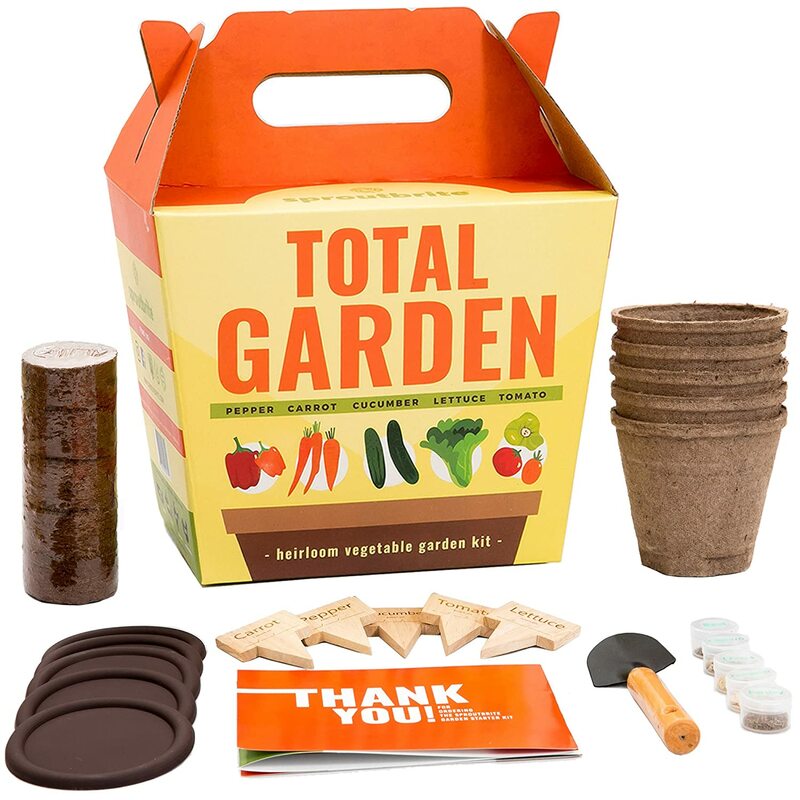 Grab this total gardening kit. It contains everything you need, including a little shovel!